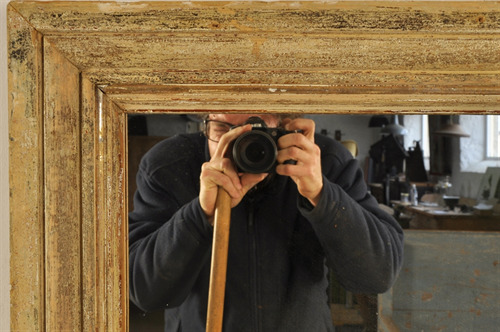 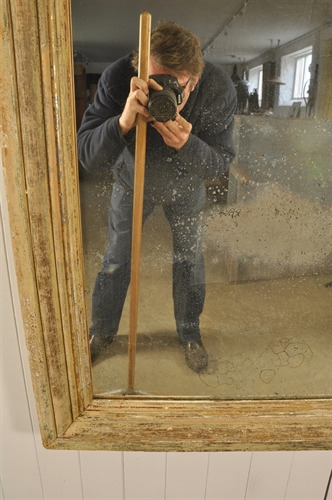 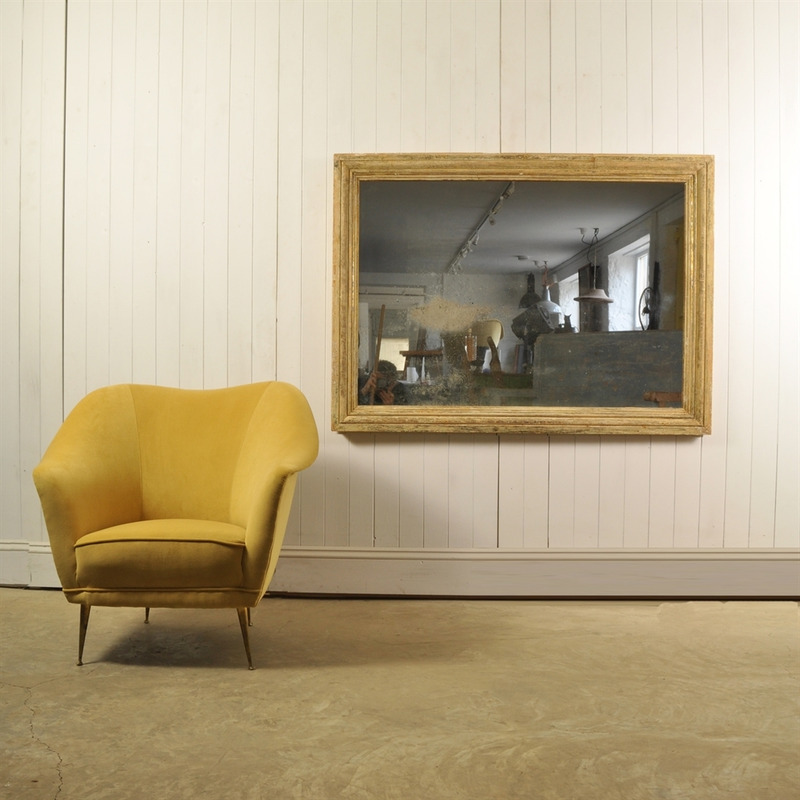 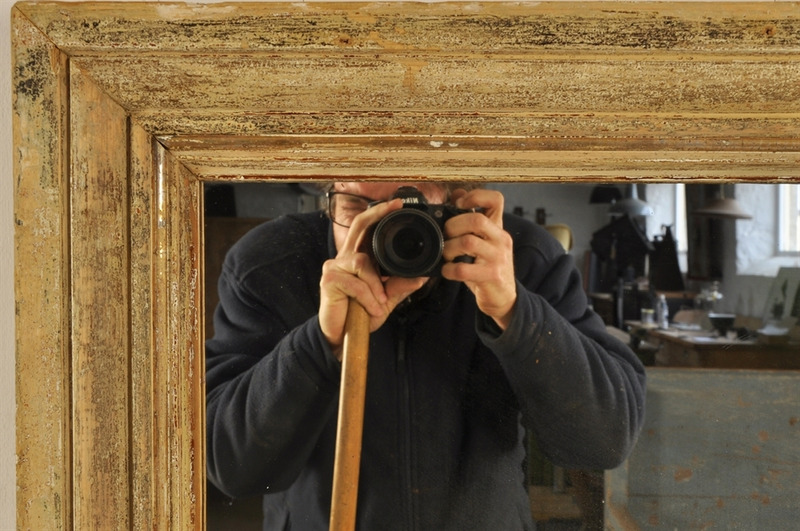 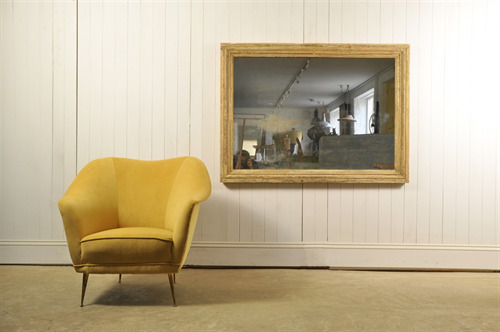 Circa 1890's this large decorative mirror was sourced in France. 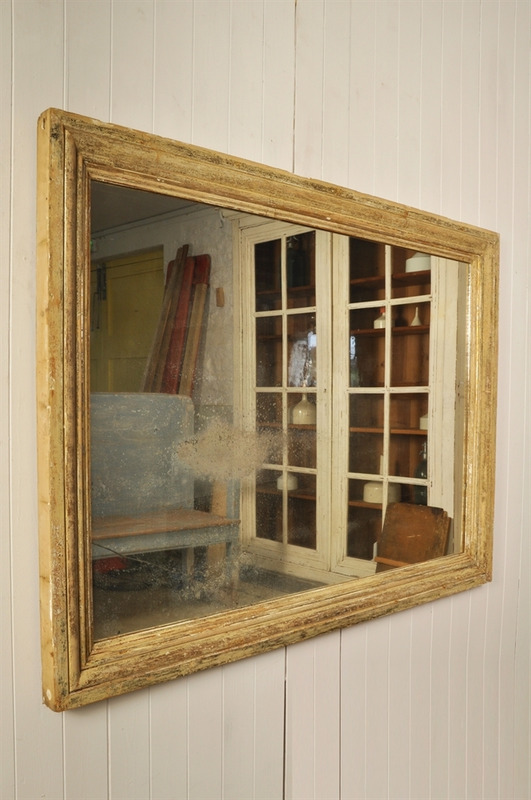 Wonderful natural distressing to the originally gilded pine frame - the patina is fantastic with a tiny amount of the original gilding and some paint remaining. 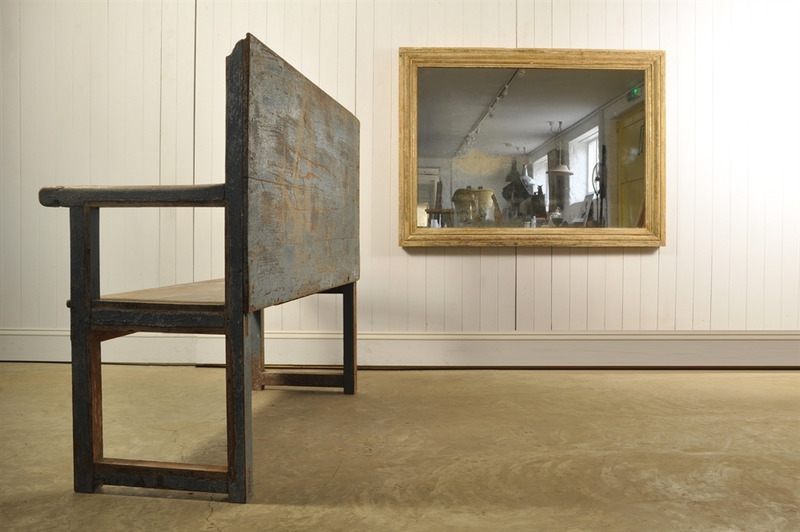 Also fantastic foxing to the original antique mercury mirror plate. 98.5 cm h x 133 w.
Hanging brackets are set for landscape - we can change this to portrait on request.